There are some dinnerware companies that concentrate on introducing new dinnerware patterns for us to choose from along with companies from the past who's vintage and antique dinnerware still grace tables and are a favorite subject for collectors. 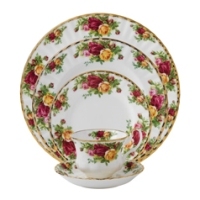 Some offer casual dinnerware sets, while others concentrate on producing formal sets of fine china. A few dinnerware manufacturers offer both casual and fine dining dinnerware, as well as designer dinnerware. Open stock dinnerware is appealing to some who like to customize their dinnerware sets with different colors, shapes and so forth. There are so many patterns, brands and sets to choose from. So, how do you get to know them so you can pick and choose exactly what you are looking for? Here at Dinnerware Shopping Guide, it is my goal to present as many dinnerware companies as possible through the list of dinnerware manufacturers and brands. Companies and brands are introduced along with information about the companies and an introduction to the dinnerware patterns. Other shopping options include browsing by color, décor, origin, or pattern. 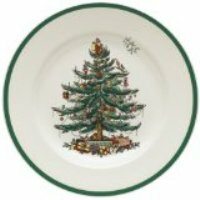 Dinnerware choices are also featured by type or style, and one of the favorites is seasonal dinnerware. I definitely enjoy building page after page of dinnerware that ranges from cute to beautiful. There are many decorating styles that can be accented by adding dinnerware to the mix throughout a home, not just the kitchen and dining area. By browsing this site, you will be introduced to many different types of dinnerware that are sure to meet your expectations. It is hard for me to choose favorites when it comes to dinnerware. I simply love all of it. The favorite dinnerware patterns question that is presented reveals that visitors represent various types and styles of dinnerware when it comes to their preferred patterns and brands. Pattern identification is also of interest. Questions about dinnerware often come from dinnerware sets that are heirlooms. There are lots of inquiries about the value of dinnerware, although most visitors don't want to sell it, they just want to know what its worth. If you are looking for dinnerware, pattern identification, or the value of dinnerware, browsing the Dinnerware Shopping Guide will be helpful to you. You can ask questions and if I can, I will answer them. If not, visitors often answer them and offer advice for where to find dinnerware patterns that are presented. Sharing passions and knowledge of dinnerware and companies is common here at Dinnerware Shopping Guide. Your contributions are deeply appreciated.